This is actually a Steven Johnson trick, but I’m pretty sure he gave it to me because he knows I’m constitutionally incapable of throwing anything away. I’m known for quite a few quirks, and one of them is that I want all of the socks in my drawer to match. That way, I don’t have to worry about pairing them, I just reach in the drawer, grab two, and I’m on my way. It requires purchasing quite a number of pairs at a time; otherwise they don’t fade at the same rate and thus won’t match. Grab and run. 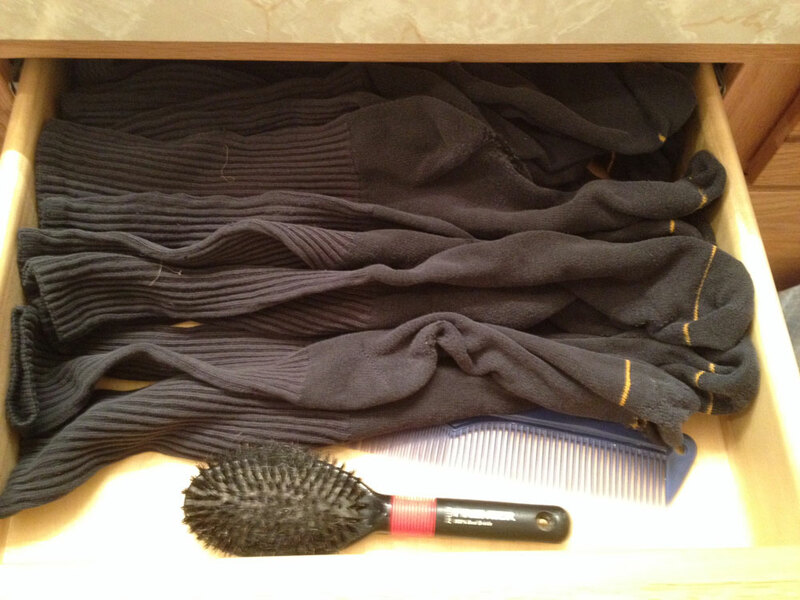 Every sock in the drawer matches and they all fade and age at the same rate. When the bottom wears out, it becomes a polishing rag, finish application rag, or cleaning aid. Rotate your stock,” as they say at the grocery store, and they mostly wear out at the same time, too. First the shirt, then the roll up the elastic part of the sock, put on the glove. 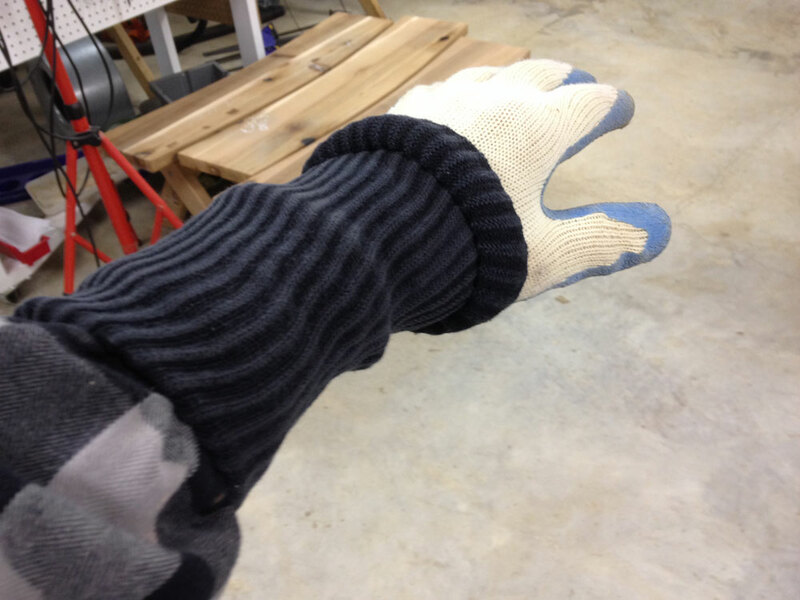 Now, span the connection between the shirt and glove with the sock by rolling it out. Add tape if it makes you feel more secure. If that boy sticks with me I might be able to teach him something about frugality!